Murdoch’s know-nothing strategy makes him look unfit to run a corporation. 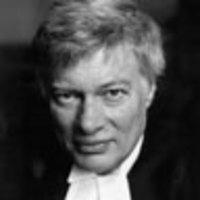 By Geoffrey Robertson Q.C. “I only want to say this is the most humble day of my life,” interjected Rupert Murdoch, early in the hearing. It was a carefully rehearsed soundbite, in a strategy that called for James Murdoch to do most of the talking—in generalized management-speak, in Donald Duck accent, and at great length. In front of M.P.s who had no skill at cross-examination, this prevented much truth from emerging. But one great symbolic truth was left in the minds of the British public: the picture of Rupert Murdoch being snuck in the back door of No.10 Downing Street, to be thanked by the prime minister for his newspaper’s electoral support. This, Rupert cheerfully admitted, was a regular event, apparently as the prime minister to whom he had delivered political power arranged to express his gratitude at a clandestine meeting. The seamy side of British democracy was appropriately symbolized. The problem with the Murdoch strategy was that it required Rupert never to have known, seen, or heard any evil. So initially he looked far too ignorant and doddery to run an international corporation. It followed from his stance that he must have been lied to by his executives, all of whom had conveniently left his employ in the last week. Rupert insisted that he bore no personal responsibility—everyone else might be guilty, but not him. By prematurely arresting Rebekah Brooks, the dimwitted British police had given him a ready-made excuse that he could not name the executives who had lied to him because it might prejudice their trial. As for his own potential trial, he was giving no hostages to fortune. Yet there was one moment when a shaft of light penetrated this rather feckless questioning. An M.P. asked whether News Corp. had paid Glenn Mulcaire's legal fees, and the Murdochs could not deny that they had paid Mulcaire and may still be paying him if his contract (which—surprise, surprise—they have not seen) required it. Yet Mulcaire is the man who has done all the damage by hacking a dead girl’s phone and the phones of relatives of dead soldiers and terrorist victims. This is the man whose work they have apologized for—and yet they have paid him and may still be paying him! How sincere can their apologies be? Then, there was the question about hacking the families of 9/11 victims. Rupert knew nothing about that—he wouldn't, would he? But James betrayed a real degree of uncertainty. Mulcaire, the demon hacker, invaded the grief of parents of soldiers killed in Afghanistan and of victims of terrorism in London. So why would he draw a line at 9/11? Mulcaire, remember, is (or certainly was) in the pay of News Limited, so why don't the Murdochs invoke his mystery contract and make him available to tell the truth to the FBI? Rupert, you had better find that contract between News Limited and Glenn Mulcaire and read it. Quickly. For the sake of your dynasty, cut him loose. Having Mulcaire under contract is a lot more dangerous to you than shaving cream.